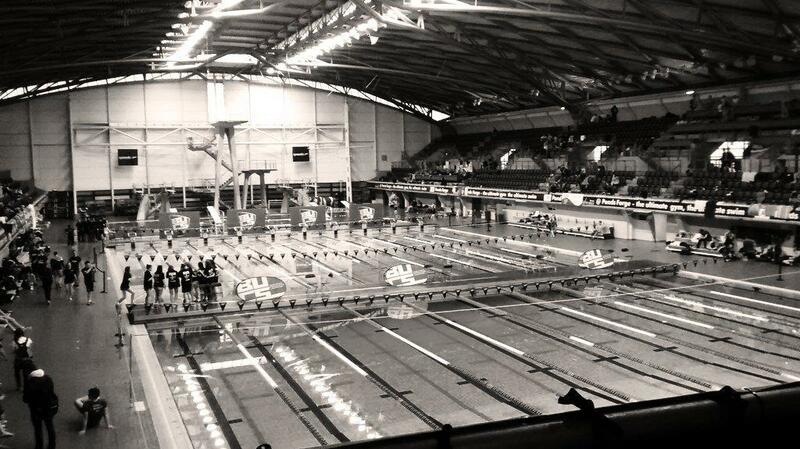 EUSC BUCS squad travelled to Ponds Forge, Sheffield, to compete in the Long Course National Championships. 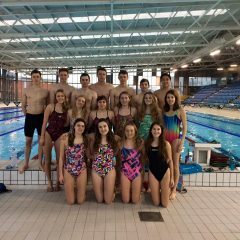 The team of 18 travelled to the competition on Friday 20th February, after weeks of specific training both in and out of the pool, including a training camp in Cardiff two weeks prior to the event. 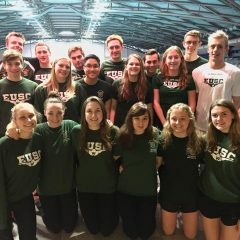 The Friday night saw the Women’s 4×100 Freestyle relay team in action first, with Megan Wainwright, Lydia Smith, Seun Olusanya and Katya Zossimova setting a new club record, sending them 8th into the B Final the following evening. They went on to break their own record again in the Final, to climb three places and finish 5th. The Men’s team of Alex Cameron, Peter Lewis, Alex Winer and Dominic Wooldridge also put in a great performance in the 4×100 Freestyle relay, narrowly missing out on a place in the B final finishing as second reserves. 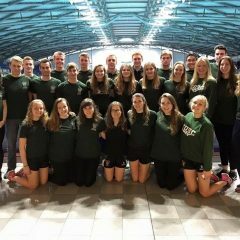 Saturday’s action again saw the women excel, with the 4×100 Medley relay team including Hannah Pullinger as the only member differing from the previous night, again qualified for the B Final and equalled their 5th place finish. The men’s Medley relay team also qualified for the B final, with Sam Harvey and Ibai Izaga joining Wooldridge and Cameron. 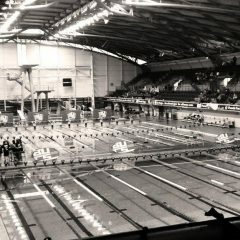 The four finished in 6th place and extended their club record by a further 3 seconds.